The latest Saudi Arabia news is an article posted at ArabNews regarding the recruitment of Household service workers or Kasambahay. Saudi labor ministry is being demanded to be fair with Kingdom's recruitment services. Your employer, Sir and Madam, must have paid, P275,000 in over-all recruitment process, including visa in order for you to work to them, at a salary of P18,750 a month or SR1500. 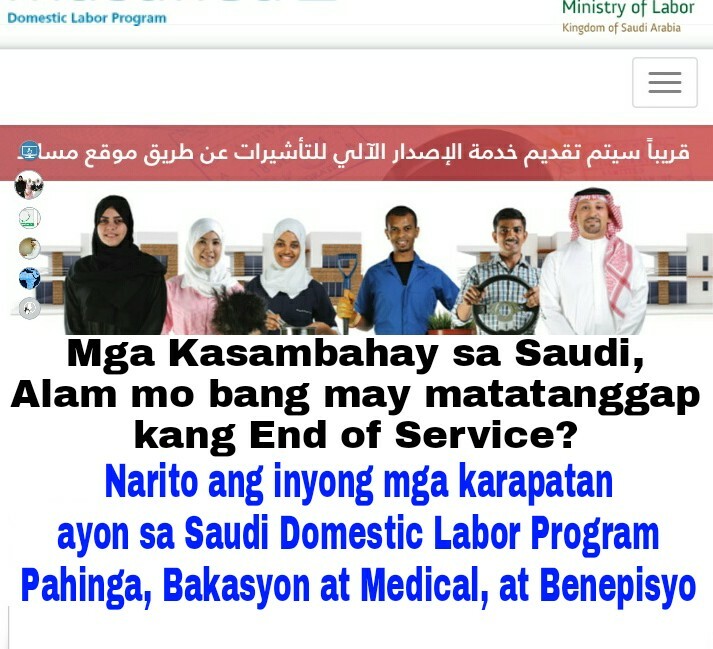 That's how costly and expensive the hiring process of a kasambahay bound for Saudi is, that's maybe the reason why some employers are not paying OFWs some salaries, or deprived them of some basic things because they are afraid that you will run away and they will lost a lot of money. The sources pointed that the total amount needed to recruit Philippine household help reached SR22,000, including the SR20,000 cost of recruiting, and SR2,000 for the visa, with a monthly salary of SR1,500." 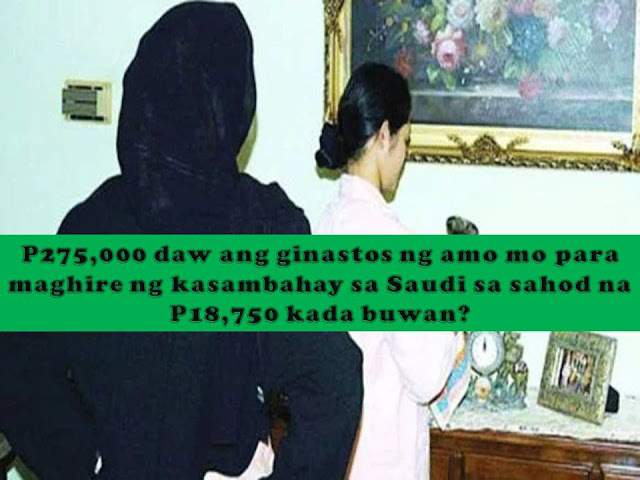 Some old videos about OFWs, and housekeepers having problems in Saudi Arabia.